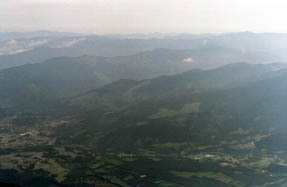 The town in Mt. 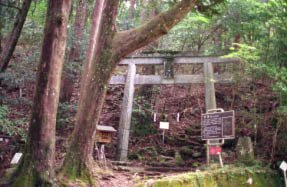 Ichifusa to Yuyama, Mizukami-mura. 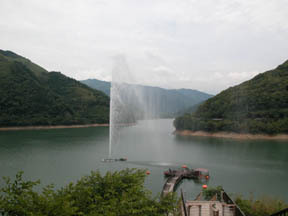 The Ichifusa Dam lake and a Large fountain. 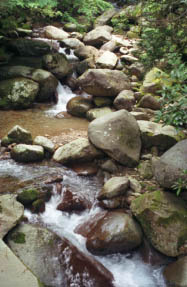 It is near an Ichifusa shrine and they are a yuyama river branch and a Nukikawa-river. 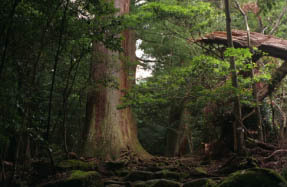 To an Ichifusa shrine gateway at the entrance to a Shinto shrine and an Ichifusa (it arranges by car to trailhead and new trailhead) shrine, it becomes the trekking for 20 to 30 minutes about the approach where the big tree of a cedar stands close together.